I personally have 5 or 6 campaigns going myself right now (Armorama and Aeroscale), so I'd like to see a start at the beginning of the year and go for 9-12 months. Quick builds or builders would have no problems with the time, and for the more complex builds this would offer, I believe, enough time. Who is the GB admin for Automodeler? Hey, I snagged this on a recent visit to a thrift store. Might it work for this build?? It's mostly metal, pre-finished and a bit started, mostly the engine? Oh, I have missed this thread! Count me in with a 1/25 18 wheeler (nor sure if I'm gonna make the trailer, but the tractor is ear-marked for build in 2018). Any update on the time frame? Mark, I think that Testor's kit would be fine. No updates yet Gabriel. Trying to find out who is the campaign admin. However, I'll submit the request this weekend - I'm sure "someone" will respond. 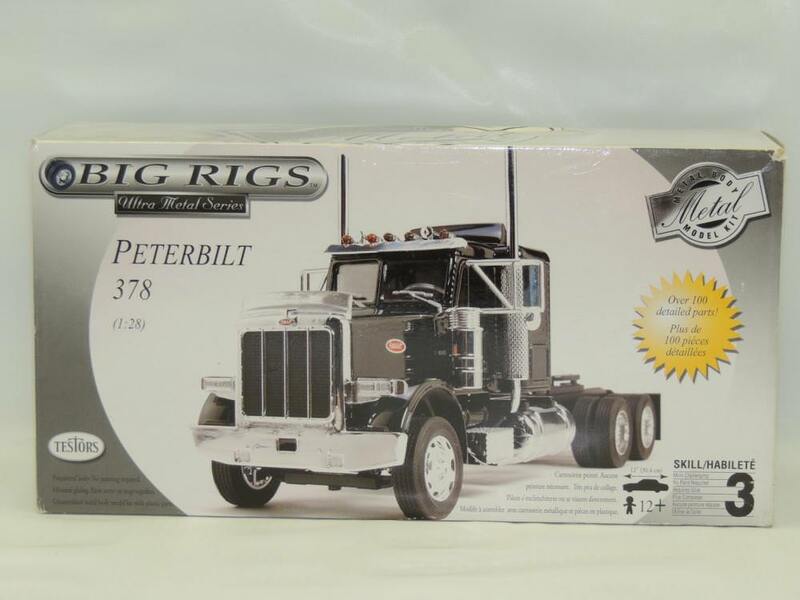 I will be building my AMT Kenworth K-123 Cabover. I've just ordered a set of polished aluminum fenders and an extended resin frame for this beastie. Looking forward to this - no more new builds on the bench until this Group Build.